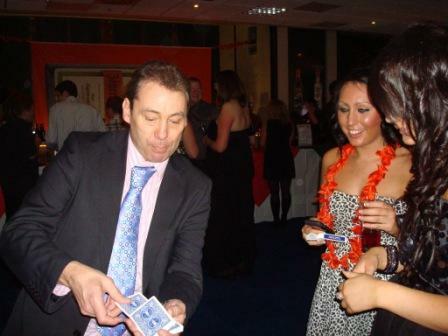 Hire West Sussex Magician - Close up Magician West Sussex Hire Magician West Sussex. Table Entertainment. Wedding Entertainers. Corporate Events also Private Parties. Close up Table Entertainment that will help your function to run Brilliantly. Performing a wide variety of effects and ensuring that people have a good time. Imagine the scene. 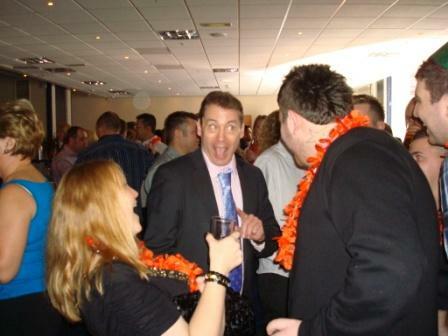 Your guests are laughing and having a great time as the entertainer moves from group to group or table to table. This is a very interactive form of entertainment that will enrich your function. West Sussex Magician Give it a go. You may well be surprised at just how successful it will be. Pre Dinner and in between food courses. Also after dinner entertainment. The beauty of close up table magic is that it is adaptable. It is flexible and can be tailored to situations as they occur. Just imagine if you are sitting at a table with your friends and you hear this lively cheering going on from the other side of the room. You will look and wonder what is going on. A group of people are watching something going on and are laughing and cheering. The atmosphere in the room will be lifted. Smiles will rest on folks faces. Happy chatter is resonating around the area. The party atmosphere is beginning to liven up. 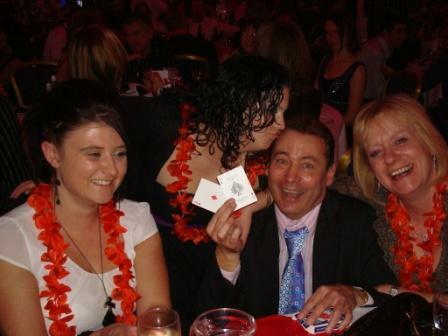 Make sure that your friends are suitably occupied at your function with a close up magician West Sussex. Enjoy the friendly banter with Mike and his modern and unique performance style, A type of performance that most will have never seen before. Enjoy the happy and entertaining style of a table magician as the guests go wow. Combining Sleight of hand and friendly banter mixed with humour. This is an entertainment roller coaster. Tricks that are just simply outstanding. Incredible entertaining with a touch of humour, friendly banter and all done right under the noses of your stunned guests. When Mike performs at your table you just know that everyone will have a great time. 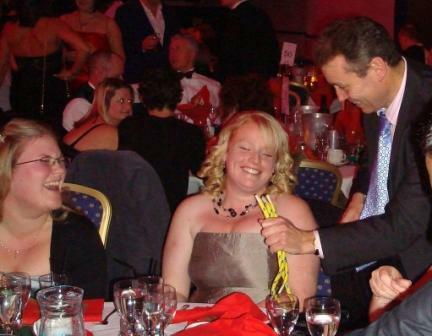 Magician Hire West Sussex will bring a touch of extra fun to the proceedings. For a wide variety of functions this type of social fun is rapidly becoming a very much sought after entertainment for many types of events. We want to help you to have a wonderful time. We can provide a talented charismatic entertainer whom will add a touch of contemporary involvement to an evening. It is incredible and when you wish to hire table entertaining you just know that everything is going to go so well. A performance that is very entertaining to watch. With a wide range of props. Including playing cards, rope, lottery tickets and balls. A top entertainer who really knows how to perform. The real secret is not so much in the trick but in the performance. 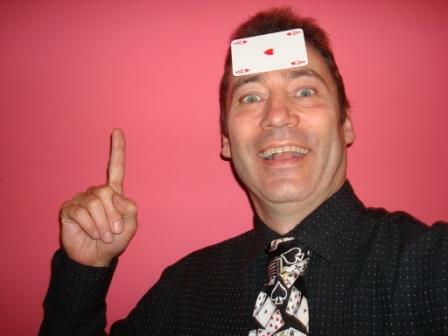 An Entertainer for Wedding Entertainment Horsham, table magic Burgess Hill, a Christmas party Haywards Heath, card tricks East Grinstead and a table entertainment Chichester. Birthdays and anniversary events. Mike Elvin. Hire a Close up Magician West Sussex. Corporate and Private functions. an Entertainer for Wedding Entertainment Horsham, Table Magic Burgess Hill, Chistmas Party Haywards Heath, Arundel, Crawley, Haywards Heath, Card tricks East Grinstead, Table entertainment Chichester, Lancing, Petworth, Henfield, Hurstpierpoint, Hassocks Petworth Worthing and Littlehampton. Birthdays, Anniversary events.